Our continued involvement as brand guardians and design consultants for the University of York Information Directorate ensures consistency and strength of identity across all visual outputs. 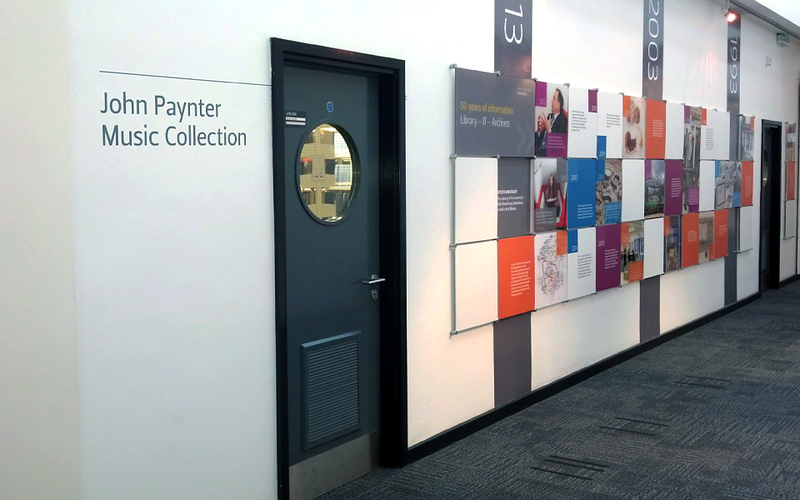 Following the extensive Library visual communication audit, and interior design concept created in 2013, we are progressing the phased implementation of way finding and informational signage throughout the University Library buildings. 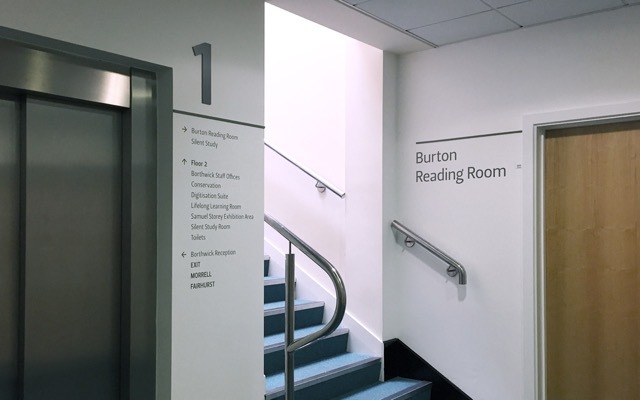 Recent enhancements have included large ‘welcome’ wall graphics to the lobbies of each of the 3 main Library buildings, further directional and informational signage, room naming and info panels, Burton reception lobby refurbishment and front entrance window manifestation. See our relevant portfolio pieces - University Library user experience programme and Branding and Visual Identity.